Each year the Water Buffalo Club selects one charitable organization to raise funds to support as its End of Year Campaign. For 2018, the Water Buffalo Club selected Hope In a Suitcase. 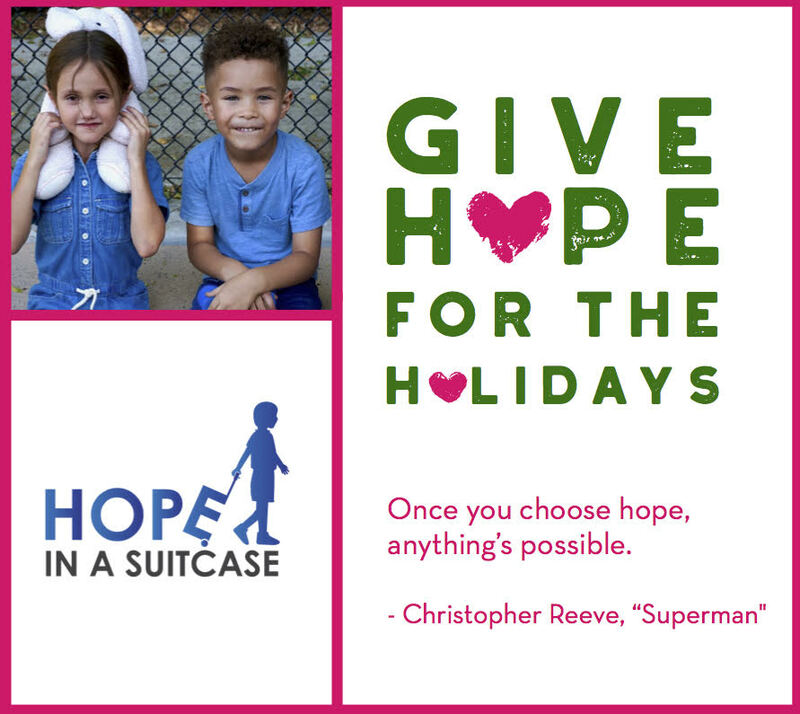 Please join with us in helping to support Hope In A Suitcase's mission to provide children and teens in foster care with a suitcase/duffel bag, along with basic essentials and comfort items, to make their transition and circumstances just a little easier and more dignified. Hope In A Suitcase (HIAS) is a volunteer-driven organization that relies on our community to provide tangible support and reassurance to our city’s most vulnerable and hardest-to-reach children. Hope in a Suitcase continues to make a great impact on children and teens in and entering Los Angeles foster care. Many of these children arrive with nothing but the clothes on their backs or a few items carried in a plastic trash bag. 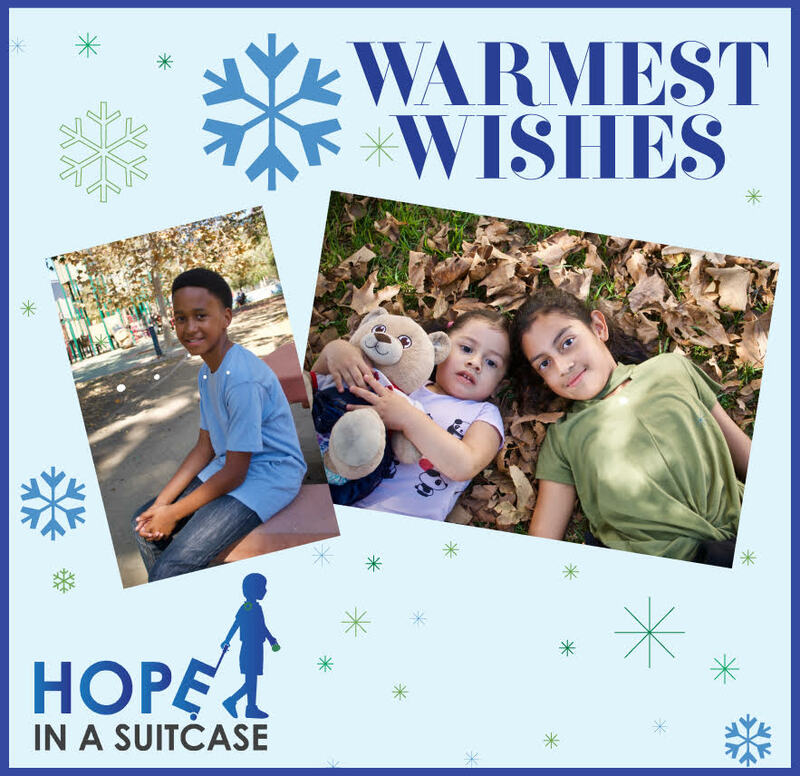 $125: For every $125 donated, Hope In A Suitcase is able to provide one Fully-Loaded Suitcase or Duffel Bag, each generally containing a blanket, pajamas, 1-2 comfortable changes of clothing, a sweatshirt or jacket, undergarments, socks, toiletries and age-appropriate comfort items (e.g. a small stuffed animal, a journal, a book, a nightlight, a handwritten note of support, etc.). $2,500: Provides a "Shopping Day" for 20 Foster Tweens/Teens, who are invited to come and choose for themselves from a selection of brand new, high quality merchandise to fit their personal body types, tastes and needs. Typically, each child walks away with a suitcase or duffel bag filled with new school clothing, athletic wear, undergarments, sleepwear, books, a pair of shoes, art supplies, toiletries and more. Please select the amount of "raffle tickets" that you want to match your donation. 100% of your donation will be used to support the Water Buffalo Club's End of Year Campaign for Hope In A Suitcase. Thank you! This year, for every donation made to our End of Year Campaign for Hope In a Suitcase, you will be entered into a raffle for a Mystery Gift Card valued at least $100.